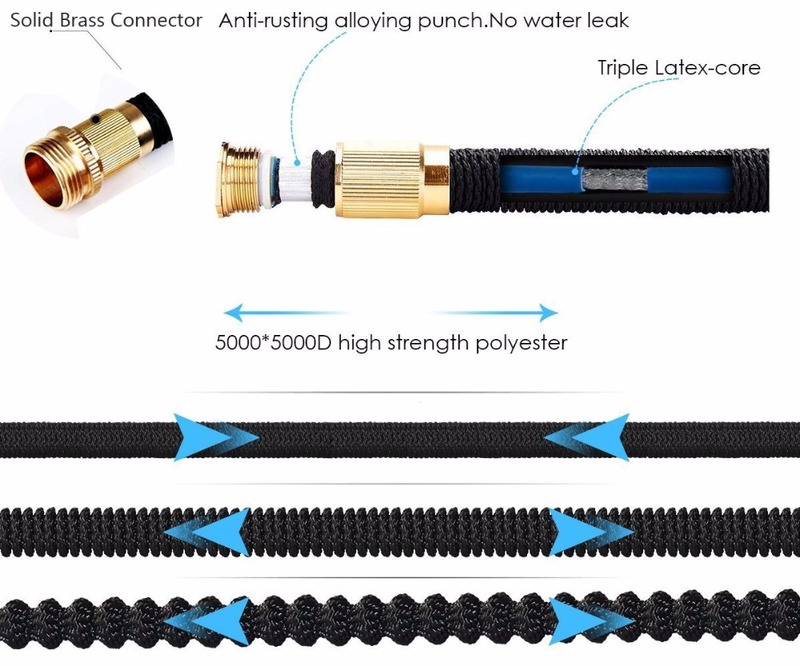 Hight Quality Material: Expanding Garden Water Hose Pipe inner part is made of innocuous natural latex which is very environmental.Triple layer latex core makes it much stronger and durable , which has Leak-Resistant Connection and avoid pipe bursts. 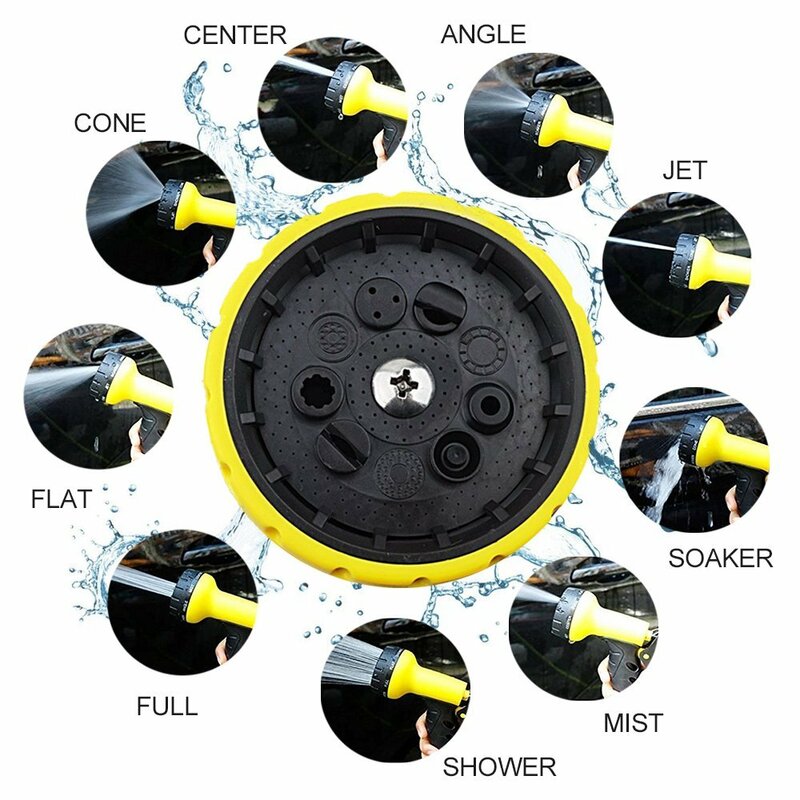 Premium Quality 9 Function Multifunctional Spray Gun: shower, cone, jet, soaker, angle, mist, center , full, flat. Choose your loved style accordingly ! 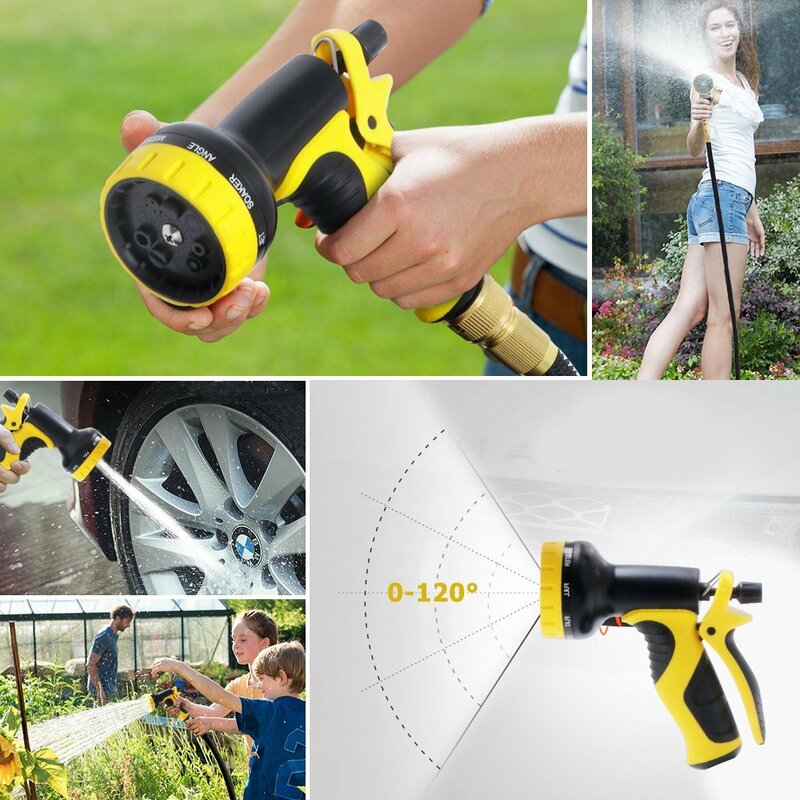 Best for Lawns, Plants & Shrubs, Washing Cars, Dogs + Pets or other more stubborn jobs. 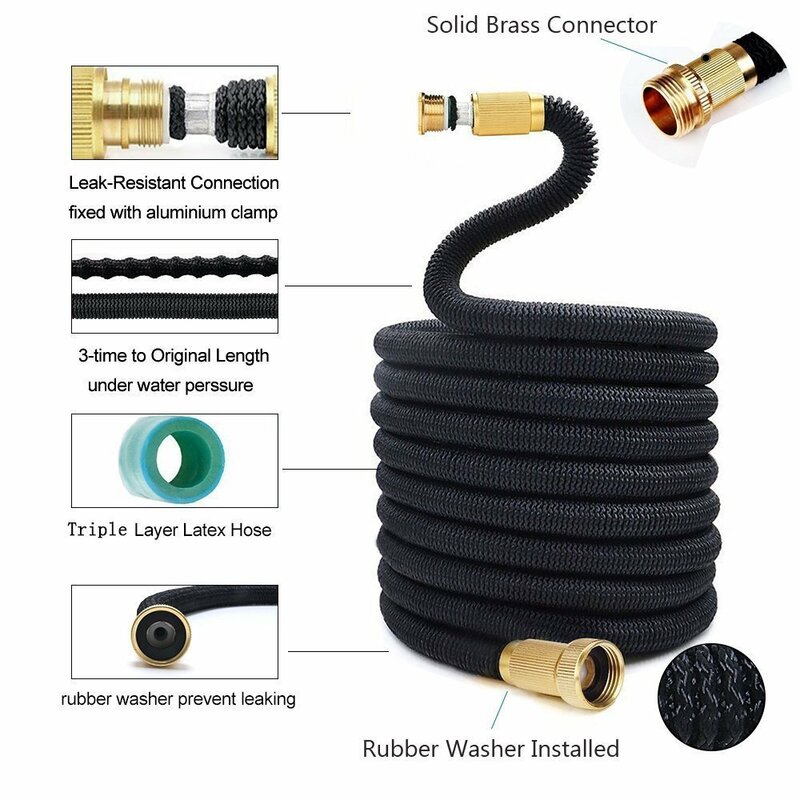 Space-efficient design: The garden hose can expand up to 3 times of its original length.The original length is 25M, and the expandable length is 100Ft(30M). 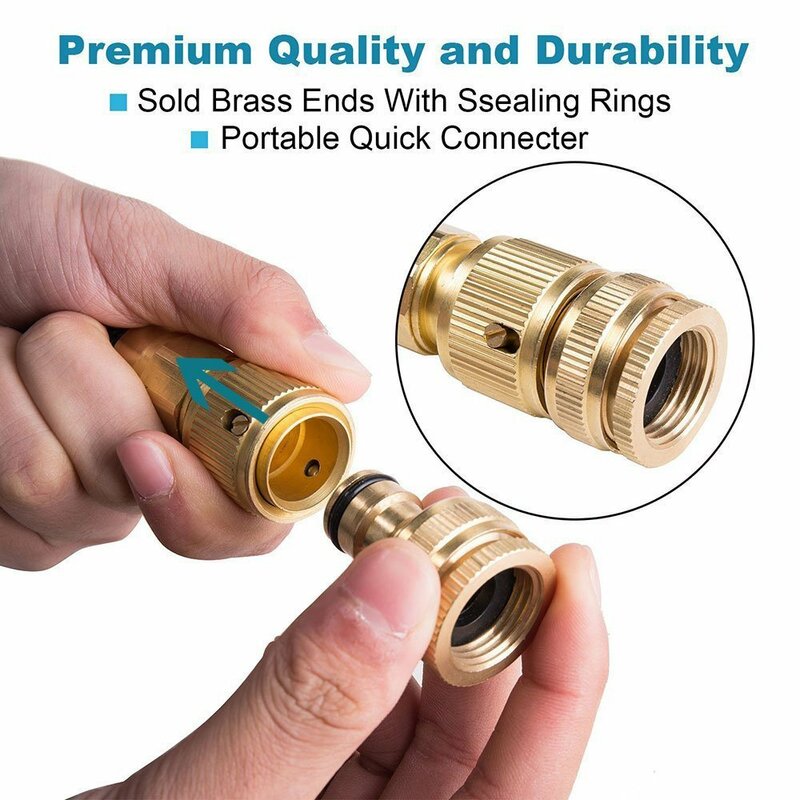 Easy storage and convenient to carry.